This week вЂ” we’re diving into my favorite Aveda products. The products you’ll see here come directly from my own, personal skincare routine. And while I would LOVE for you all the buy every single one of these products just because I’m telling you too вЂ” I don’t advise it! What I advise is talking to your esthetician about the Aveda products that will work for YOU and YOUR skin! We’ll begin with one of my favorite masques: Aveda’s Deep Cleansing Herbal Clay Masque. This masque is great for me to use, sparingly. I use this the week I’m PMS-ing, right before my cycle because that’s when my hormones LOVE to remind me I’m only human and my skin is susceptible to acne. I can only use this once or twice, and only during that week, because (for me!) too much of this will dry my skin out and believe it or not … give me MORE acne. And what’s a cleanser without a matching moisturizer!? 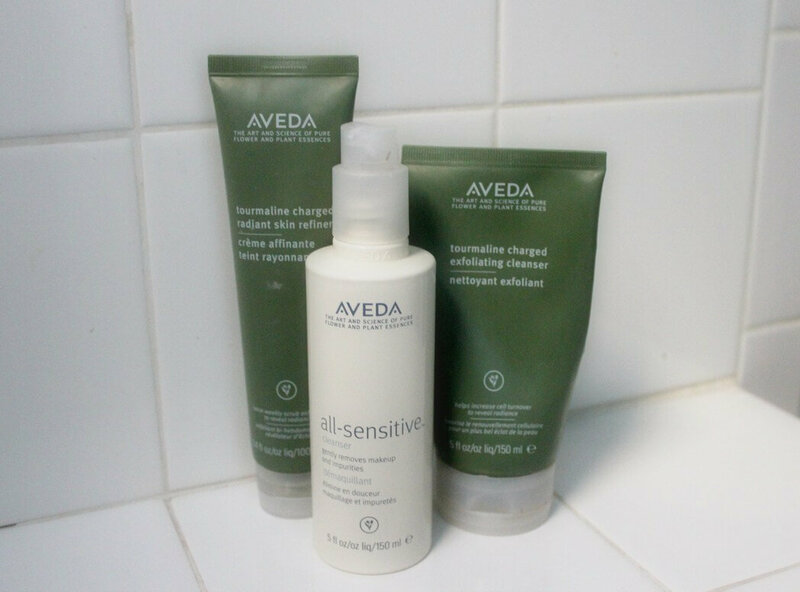 Check Aveda’s All-Sensitive Moisturizer. I also apply this daily, am and pm. Showing you guys ALL the GOOD stuff. Aveda’s Intense Hydrating Rich Cream is exactly as intense and hydrating as it sounds. I use this one 2-3 times per week if my skin is feeling extra dry. This baby’s great during our Chicago winters! This last skincare pick (Aveda’s Outer Peace Acne Relief Pads) are so perfectly mild for treating any ance or pesky pimples that pop up! Because you apply the acne-relieving product through these pads, it not-so-harshly treats your skin. The pads are formulated with potent plants of tamanu, amla, boswellia & saw palmetto Blended with certified organic lemon tea tree & rose geranium aroma Helps cleanse & exfoliate skin. Finishing off this post with an Aveda hair product! I’ve mentioned before that my hair is recovering from going from one extreme (red) to another (blonde). So, it’s crucial that I spray Aveda’s Brilliant Damage Control Spray in my hair before every blow dry!